This week, WritersWeekly Managing Editor, Brian Whiddon takes over “Angela’s Desk” to address a “concerned reader” who clearly has an unrealistic world view. Angela’s regular feature will return next week. 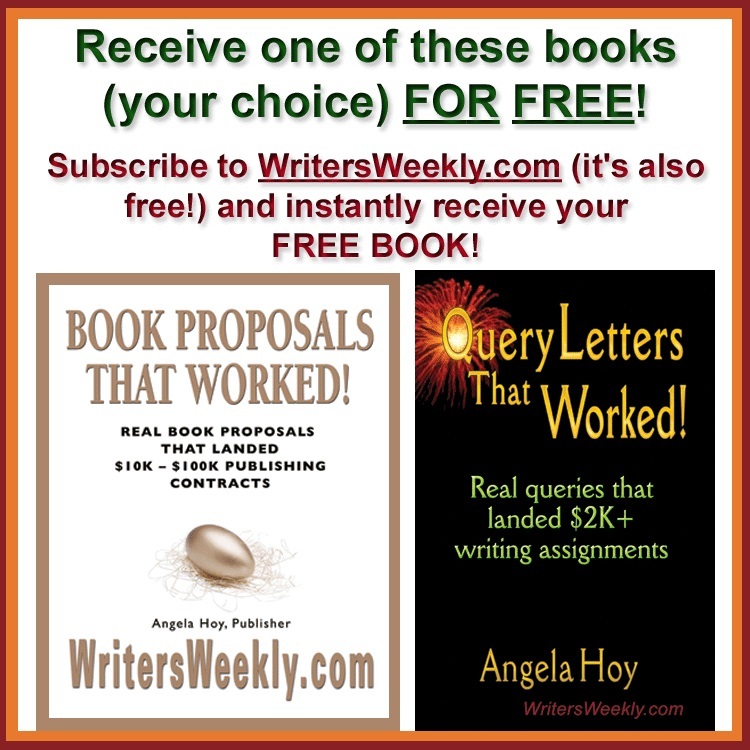 I love when Angela sends me the “World’s Worst Query Letters and Book Proposals” columns to edit and post on WritersWeekly. To be blunt, I always laugh my tokhes off the whole time I’m uploading those little nuggets. And, it’s clear when you read them that some of these folks are downright musighan, while others simply don’t speak English as a primary language (yet, they are approaching an English-language publication for paying work). Sure, the examples are somewhat over the top – but they are real. And, they serve the purpose of teaching aspiring freelance writers exactly what kind of pazzo stuff comes across a publisher’s inbox. Armed with that knowledge, a successful writer can put in the effort to ensure they avoid those pitfalls, and send in a query that is far better than the majority of what publishers usually see. That’s called a “competitive edge,” and can make you a real baller … straight up. So, I was a bit surprised when we received a comment from a reader (we’ll call her Scolding Sally) concerning last week’s World’s Worst Query Letters and Book Proposals, which accused us of racism! Now, it doesn’t matter what we post on WritersWeekly.com. There is always someone who doesn’t like it. Heck, someone even criticized Angela for her “Minimalist Christmas” article. We’re used to that. It comes with the territory. I’m not going to have a vspyshka gneva over this feedback. I’m not kicking puppies, or getting drunk and starting a soccer riot over the fact that someone got their knickers in a knot. But, Scolding Sally’s comments just offered way too many opportunities for – well… let’s call it a “teachable moment.” What you’ll read below is a combination of heartfelt straight-talk mixed with some edgy humor in response to someone who really needs to find a good hobby, and relax a little. 1) Our “mocking” was distasteful. In a moment of enlightened self-introspection, I quickly ran a mental inventory of all the authors I’ve helped publish (through BookLocker.com) in the last two years to see who I may have discriminated against. Hmmmm, I’ve formatted and uploaded books from white American authors, black American authors, Chinese authors, Italian authors, Eskimo authors, Native American authors, Russian authors, and more. We have a Nigerian author and a Kenyan author. I’ve worked on an author’s book from Sinagapore, and another from South America. We have a very interesting and intriguing female author from Australia (and her books sell very well! ), and several British authors. Additionally, we have published books about Christianity, Judaism, and a host of other religions, as well as spiritualism, and nihilism. We publish books by homosexual authors. We publish books that promote traditional family structures. We’ve published books about black heritage, Asian spirituality, growing up as a Latino, and even going to college in Africa. We specifically reject manuscripts we receive that focus on blaming entire races or cultures for the problems of other races or cultures. 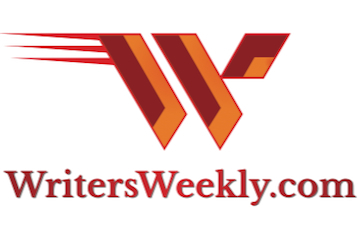 And finally, in WritersWeekly, we publish an article and a success story each week that we PAY FOR by various freelance writers from all over the world. Unless the readers look up the author on Google, or unless we post a picture, there is no way for our readers (or us) to know the race or nationality of those writers…and certainly not their religion, political, or other preferences. 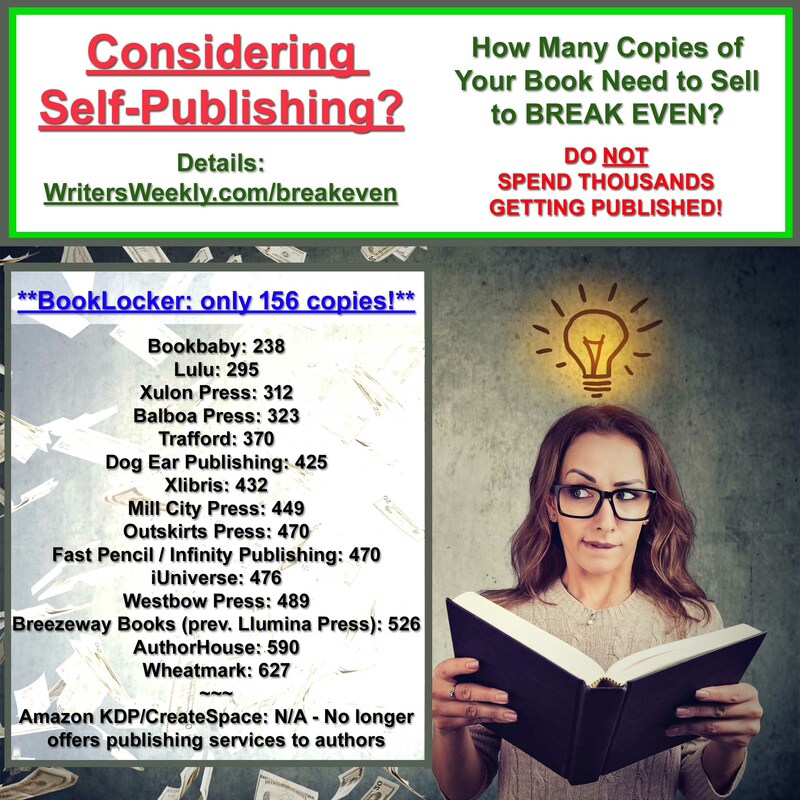 The common factor in these and the 9,000+ books that BookLocker has published is that they were well-written, and had the potential to sell well. Not race. Not sexual-orientation. Not religion. Not even political leaning. 1) Our posting bad examples of query letters is providing an example of what not to do. Are we adults here? When I was in Army basic training and I made a mistake, I got yelled and screamed at in front of all my platoon mates. Sure, it felt bad, but we ALL got that treatment. And, each time someone was getting chewed out by a drill sergeant, guess what everyone else was thinking? “Man, I’m NOT going to make THAT mistake!” Surprise, surprise surprise!! That was the entire point!! Sure, we accompany the egregious errors with humorous comments – but to call it “mocking” is just niemądry. You’d be a meshugenah if you ran a business that way!! Let’s be real. Everyone has the right to say (or write) whatever they want. But NO ONE has the right to be heard. If Sally feels that everyone has the right to be heard, then she can fork out the money, and pay all these people for their writings (we receive hundreds of queries every month, by the way) – and then publish them so they can be “heard.” Good luck keeping a roof over your head with THAT business model, Sally. 4) “Mocking them can be seen as racist and xenophobic.” In a nutshell, Sally – go pound sand. You need to go look up “racist” and “xenophobe.” You’ll find that neither definition has anything to do with work quality or product marketability. And, the very fact that Sally had to inject those very words into her criticism tells me that SHE is the one with the problem. Personally, I don’t care if someone like Sally “sees” what we do as racist or xenophobic. I’m far more afraid of my company being seen as a low quality, cut-rate publishing firm that will publish any book or article that comes across my desk. 5) If someone wants their work published in French, they need to know how to write fluently in French. Same goes for Spanish, Swahili, Portuguese, Laotian, Nynorsk, and (surprise!!) ENGLISH!! Not learning the language before diving into a country’s writing industry is not a “disability.” It’s a failure to establish a linguistic foundation on which to build your writing career. And, no – failing to have absolutely “perfect” grammar does not indicate that someone may be a fantastic writer. Quite the opposite, in fact. We ask that anything submitted to us (including query letters) are written well enough that the grammatical errors do not distract from the writing itself. I’m all about empathy, Sally, but come on! You’re just being okkunig! 6) Finally, Scolding Sally is right about one thing. Writers are not editors. We very rarely see an error-free manuscript. While I do edit articles, my job is NOT to completely re-write anyone’s work. We have, in the past, accepted an article based on a well-written query, and then received a horribly-written article as a result. In those cases, I’ve literally had to spend a couple of hours fixing a 600-word article. So, from a business perspective, that’s $60 up front to purchase the article from the author, then 2 hours of my time to make it readable. Then, add the additional time to upload and format the article to appear online properly. That’s hardly what I’d call a profitable transaction. Here at BookLocker and WritersWeekly.com, we don’t care what color people are, or where they come from, or their religion, or their political affiliation. We do care about publishing well-written articles and books that people want to read. And, finally, based on all the comments and letters we’ve received over the years, our readers LOVE to read the zany, poorly written düngen we receive each month in the form of World’s Worst Query Letters and Book Proposals. It’s okay to have a little giggle at these. Scolding us and throwing around “racist” and “xenophobic” is really just ridiculous. Brian Whiddon is BookLocker’s Operations Manager, and serves as Managing Editor for WritersWeekly.com. He’s an author, researcher, and writer, an Army veteran, a 16-year police veteran, and former business owner. He lives on his 36 foot sailboat – the Floggin Molly – in St. Petersburg, Florida, where he sails the waters of Tampa Bay and the Gulf of Mexico. 19 Responses to "Because We Refuse to Buy Bad Articles, Now We’re RACISTS?! by Brian Whiddon, Managing Editor"
“Name Withheld” cant be serious? Declaring not to be a racist somehow makes you racist? I’d be so offended and furious if someone called me racist they would definitely get an earful of loud denials. It’s an extremely offensive accusation. I’m glad, Brian, you made it clear that bad writing is simply bad writing and not publishable, no matter where you come from, what color you are, or what religion you practice. Funny, funny, funny. I was able to guess what most meant, although I had the most trouble with Asian characters. Writing in a non-mother-tongue language is a challenge, certainly. And writing in the foreign tongue helps greatly in learning the language. Ridiculous. You guys do great work that helps writers everywhere. Don’t change a thing. Why did you even think of responding the accusation? There are so many more important things in life than refuting such a silly charge as the way-too-often ridiculous claim. And before you misunderstand my point, I completely disagree with the prior pal “Name Witheld [sic]”! I certainly understand and respect your position. And I also subscribe to the “sticks and stones” philosophy myself. However, occasionally in life, you have to stand up to bullies – even if it serves no other purpose than to announce to the world that you do not allow bullies to decide how you will live or conduct your business. Today the word “racist” gets thrown around way too flippantly by way too many people who simply have no other way of getting what they want out of others. Nice response Brian…I did recognize most of the languages and appreciated the angle you took in addressing the name-calling, which is waaaaaaaay (not really a word) too prevalent in America today. If I disagree with you, I throw a label at you. There, that’ll learn ya! Having been an educator, investigator, and training facilitator in the EEO business for over 13 years, you were spot-on with recommending that Scolding Sally look in the mirror. Bad, as well as good, writers come in all races, ethnic groups, both genders, etc., so for her to assume it was a “foreigner” demonstrates her personal prejudices and stereotypes. I disagree that “when someone has to declare loudly that they are not racist, there’s some ambiguity there” because Scolding Sally threw the label, you just addressed her name calling. Silence is agreement, so good for you on speaking up! I hope everyone who celebrates Chanukah had a wonderful time and a Very Merry Christmas to those who celebrate Christmas! Cheers! Some of the worst writing that I saw in my teaching career came from pre-med students in my upper division biology classes. This included essay exams and term papers. Those students represented the intellectual elite. Bad writing slices across all groups. Nice job, Brian. I especially liked the links to foreign words, most of which I did not recognize. I’m guessing that Sally’s letter is the proverbial back-breaking straw. Writers who do not think grammar is important are a burden on the language. To “Name Witheld” – if one is accused of something and denies it, how does that make them guilty?? If I am accused of murder and say “I didn’t do it! I didn’t, I really didn’t!” – should they lock me away as guilty? This nonsense is like the old days of witch hunting – dunk them in a pond and hold them down; if they drown they aren’t a witch (too late for them though! ), and if the survive they must be a witch, so let’s burn them!! Utter rubbish. If I deny something it’s because I’m being honest in the face of unfair criticism. Plain and simple. Get over yourself! Great point, Jo. I’d like to highlight the fact that – as I stated in my article (albeit in a humorous manner)- I actually took some time for some self reflection, and then gathered my evidence (true examples of the various authors we work with) and then presented that evidence as an argument against what “Sally” accused us of. Notice how the easy path (“You were accused of racism, and protested too loudly – therefore you must be racist.”) requires no thought, no evidence, no logical discourse. If someone is hunting straw-men, they will find one everywhere they look. Haha, excellently put! As a publisher I have seen the most awful writing come in for the slush pile – and slush it is! Several times I have had a query letter from a graduate from a university, with a degree in literature and creative writing. How did these people even get their ‘A’ levels to let them INTO university?? Then too, we ran a Young Writers competition, promising feedback to all entries. To one of them I wrote: “Takng into consideration that English is your second language…” (and I was being KIND!) – I received an outraged reply from this ‘A’ level literature student, telling me English was her native language! Ay-ay-ayyy! Sometimes one despairs! So, I am totally with you. Also on how furious some writers are on receiving a thank-you-but-no-thank-you … reminds me of when Simon Cowell tells an auditioner they can’t sing when they are convinced they can, and they yell at him that he knows nothing. lol! Keep up the good work and keep being kind but firm – and don’t avoid the truth. That’s what I think, anyway. Worse than racists, ableists! Yes! You discriminate based on ability! All persons should be published and compensated whether they can write well or not! Illiterates of the world unite! I must say – that was well written! Bravo for telling it like it is, Brian, Angela, and the rest of the Booklocker staff. OF COURSE we can tell that most of the example queries are from foreign writers. But I’m not about to try to submit an article to a Russian or a Japanese or a Somalian publisher . . . because I am NOT FLUENT IN THOSE LANGUAGES! Period. Even if I were a best-selling American author, I wouldn’t think of trying to enter a market with my writing if I had to do it in a language with which I have no clue. Neither should anyone in another country who is not fluent in English. Writing is a business, as Brian said, not a charity. To the racism point: As a long-time member of an online critique group, I’ve seen dozens of examples of novel writing by American-born, English-speaking authors that were horrid and rife with grammar mistakes and typos. I’ve seen pictures of many of these writers, and I know for a fact many are white. Bad writing is a universal problem. I’ll bet a bunch of the queries Booklocker receives are from native, white, English speakers whose grammar and attention to detail really are that poor and sloppy. 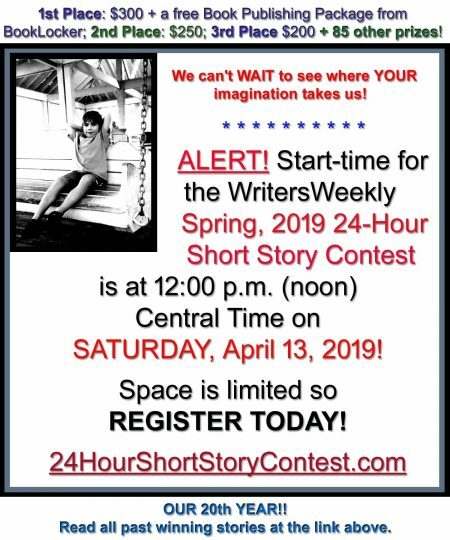 … An American-born, English-speaking-only author who has all he can do to write coherently in English, let alone make any money selling his writing in that language. Also, I just spent about 10 minutes editing and proofreading this reply . . . Seriously! And I’m sure it could be improved even more. This may come across as a sycophantic testimonial but that was one of the best articles I have read in a long, long time. Its so well crafted and intelligent that I don’t think Scolding Sally will understand that she’s just been eloquently called a f*cking moron. In defending your publishing kingdom, you and Angela have reminded us all that the pen is still mightier than the sword. Cheers! Nice one, Brian. In grad school I eeked out my assistantship and student loan contracting as a copy editor for a vanity press. Oy, the stuff I read and worked at making readable, always tending to the writer’s voice and style…. Sigh. Happy Christmas from the Great White North to all of you on open water. Your reaction is a little over the top for me. Usually whenever someone has to declare loudly that they are not racist, there’s some ambiguity there. I will take myself off your mailing list.